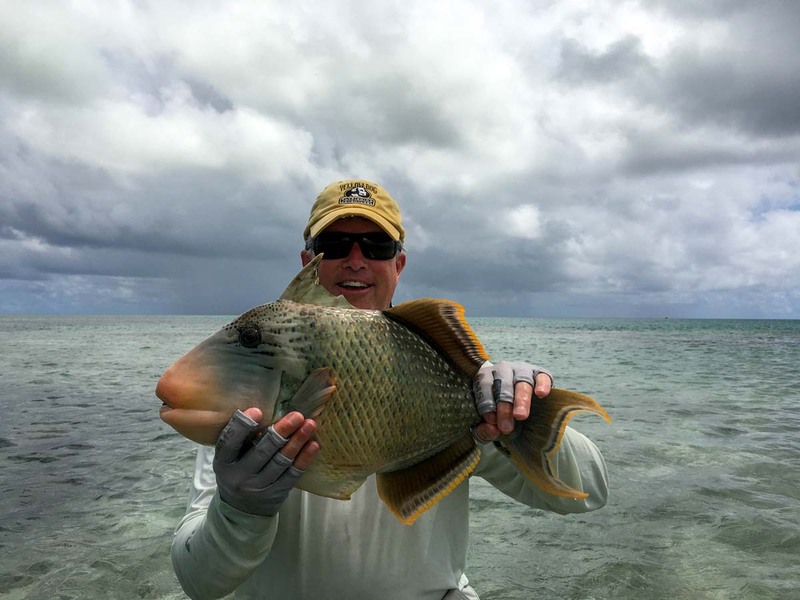 There were some beautiful neap tides and so many great things to say about last week’s fishing at Alphonse and St. Francois. 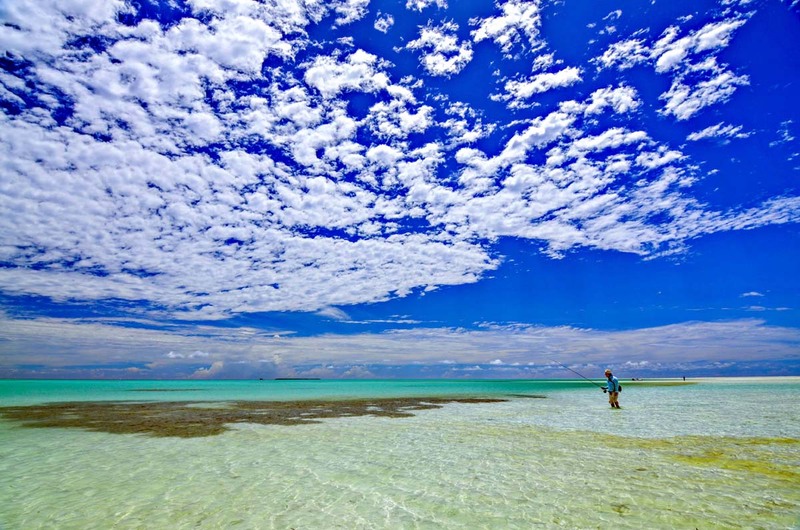 The weather played along all week with light winds from the South-East and very little cloud. 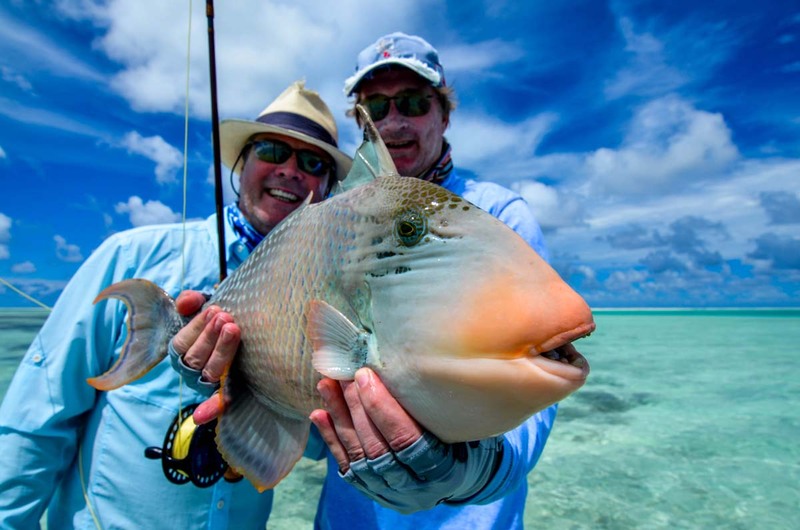 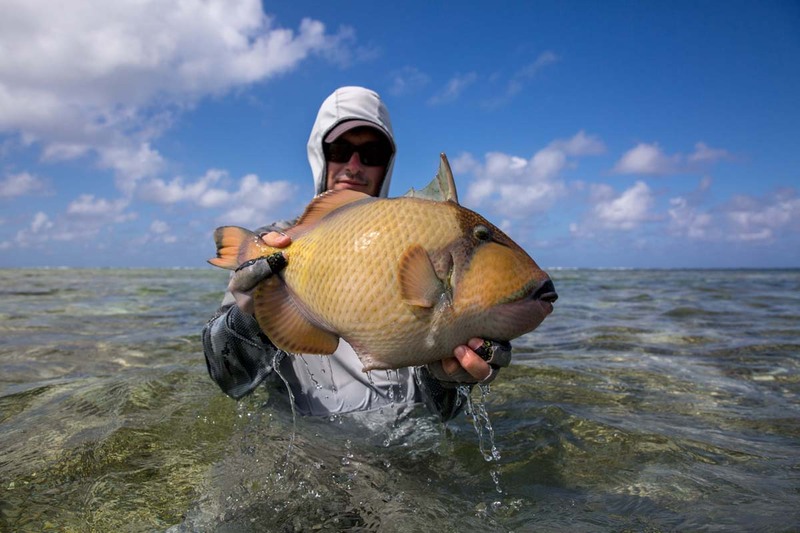 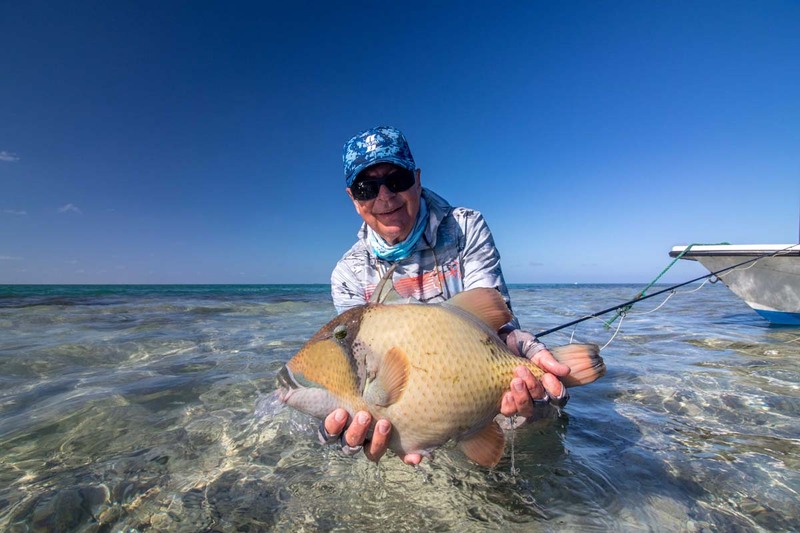 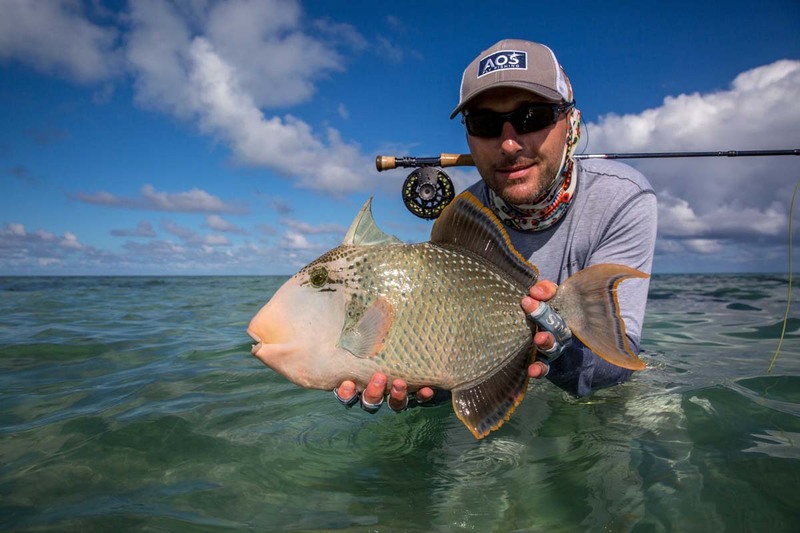 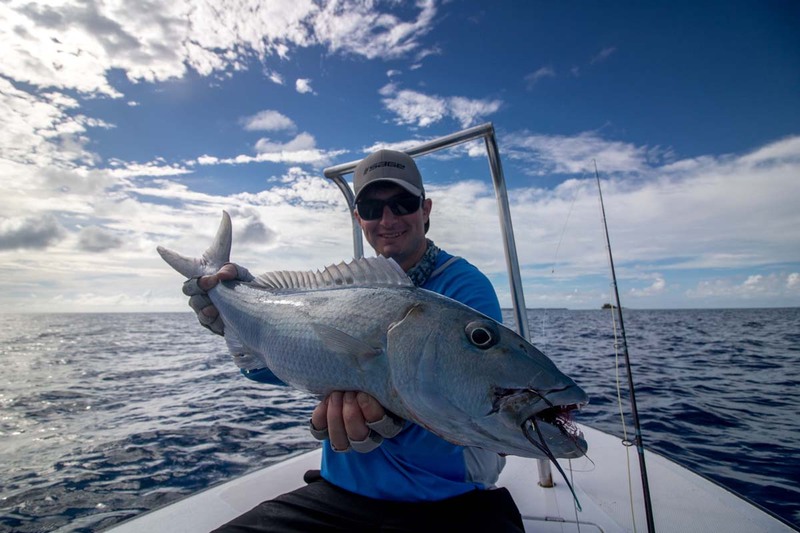 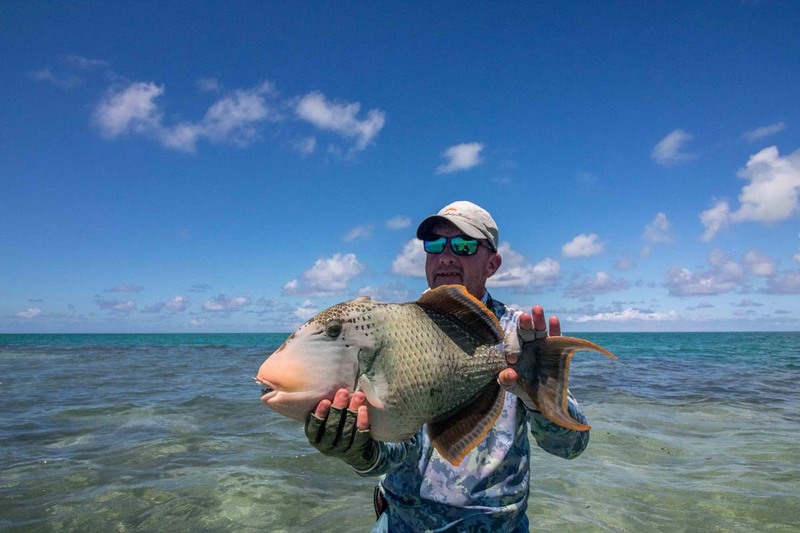 The guides consider these tides and weather conditions to be the ultimate Triggerfish bonanza and the number of Triggers landed did not disappoint with 16 for the week. 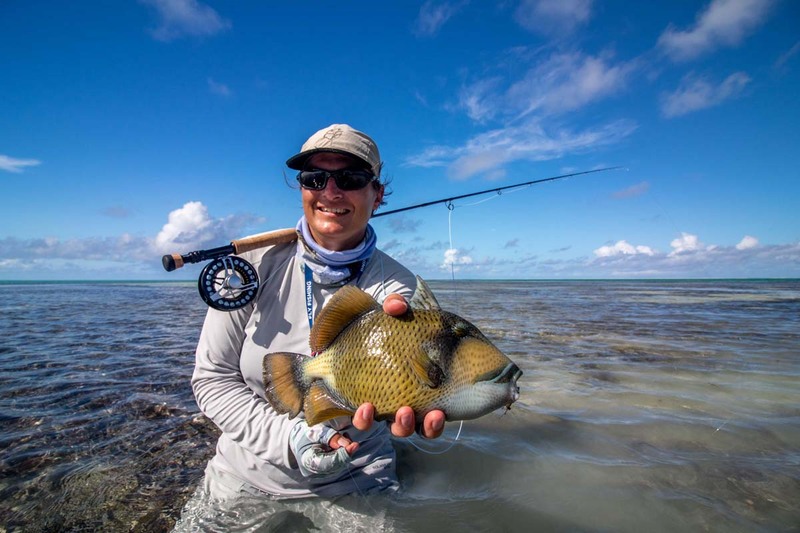 The Teague family comprising of Ken, Tom Jr and Tom Snr landed six Triggerfish for the week, with Christina V, Grant S, Gary A, Nigel W and Mark H all contributing to the numbers. 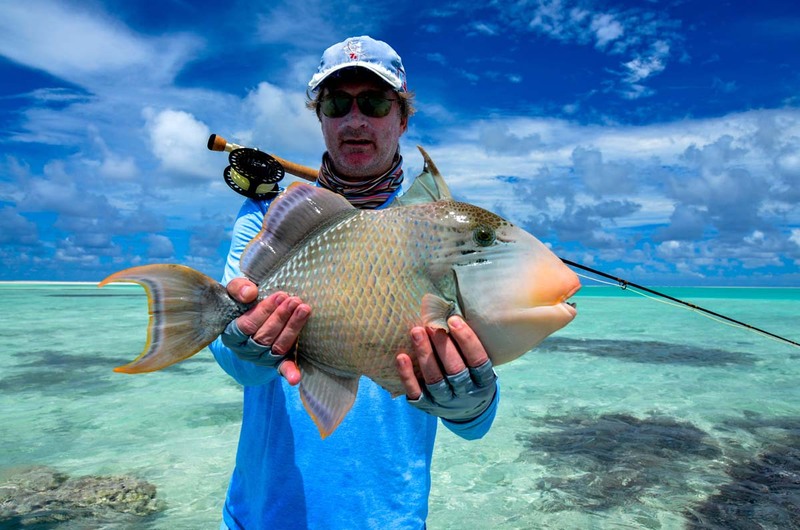 Klauss V was the Triggerfish champion catching a well-deserved total of four Moustache and one . 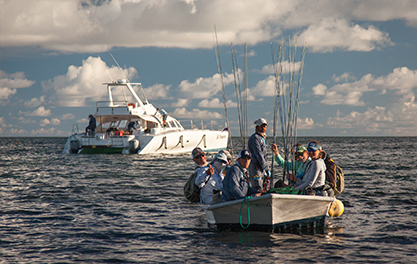 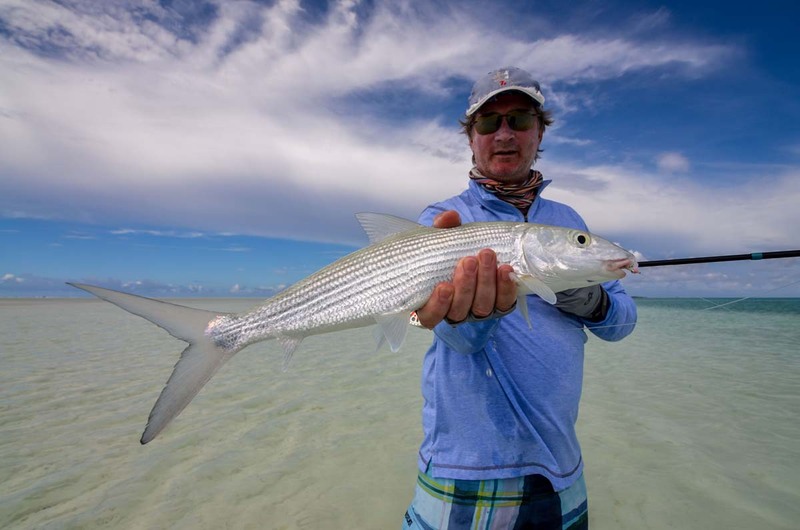 The Bonefish numbers were once again off-the-chart with 290 landed between the group without too much effort. 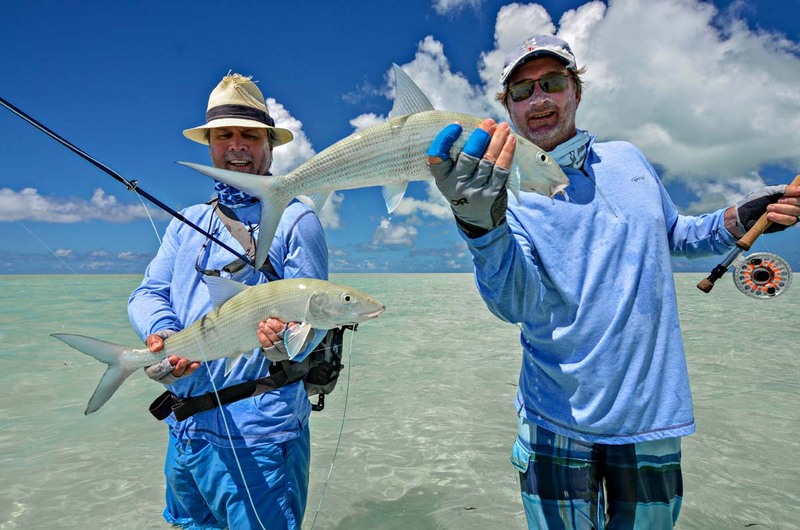 Gary A and Nigel W becoming members of the 20 Bonefish Club, in half a days fishing. 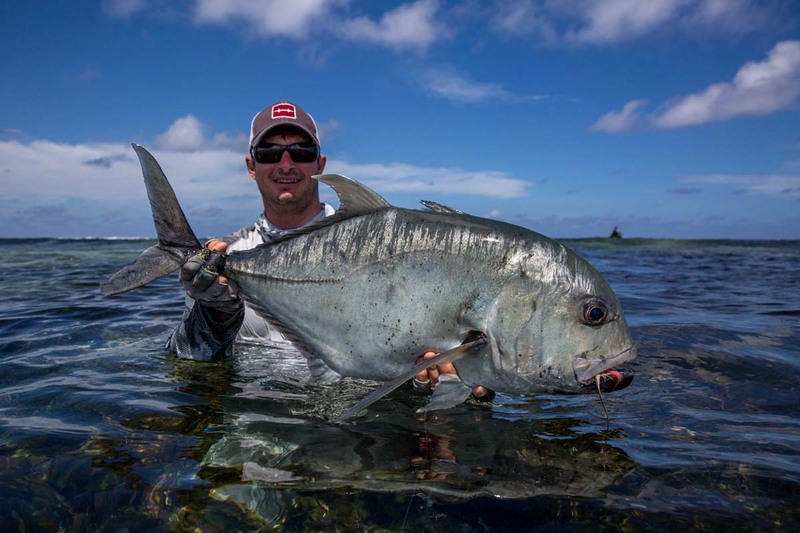 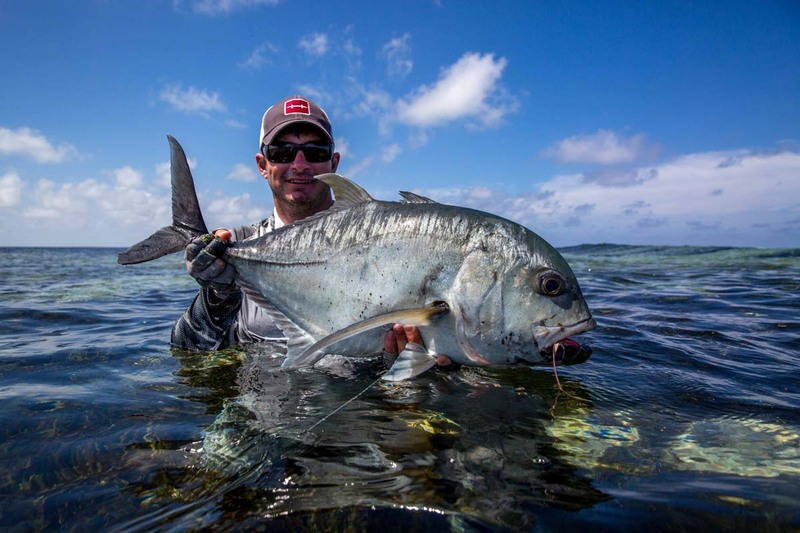 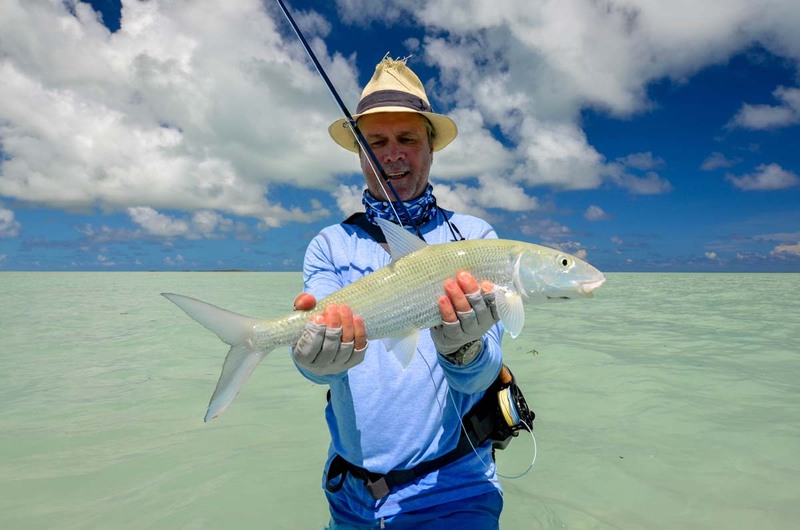 Nigel went on to land a second 20+ Bonefish and added a Indo-Pacific Permit to the days tally to make it one not to forget. 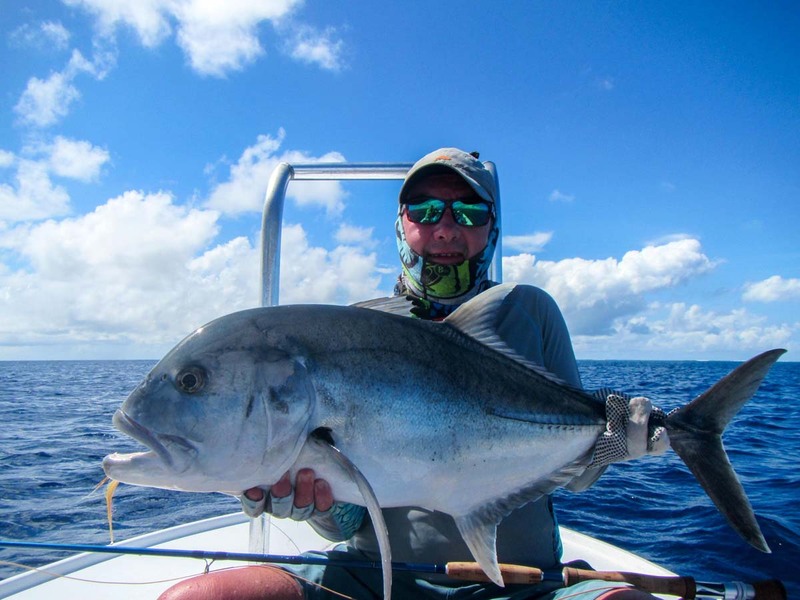 The GTs were definitely around, with eight of them landed throughout the week. 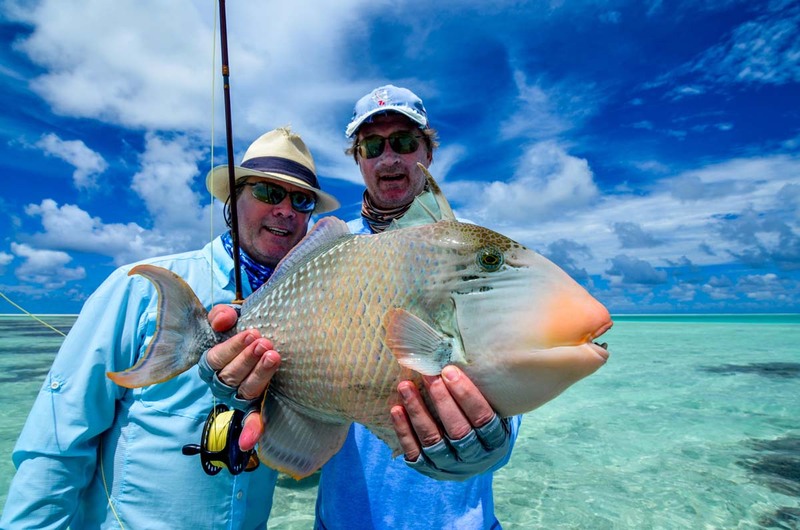 Christina V, Nigel W, Ken T and Malcolm O got their “GEETs”, with Gary A making it happen twice and Klauss V landing a nice GT to complete his ‘Flats Slam’! 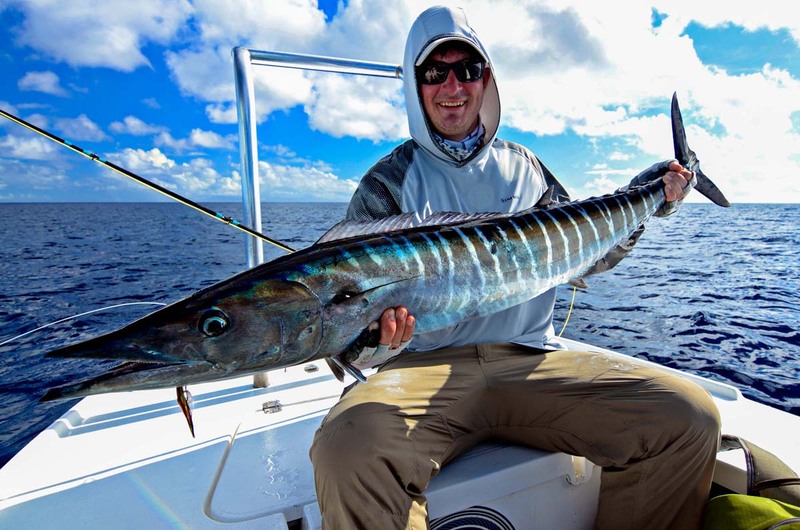 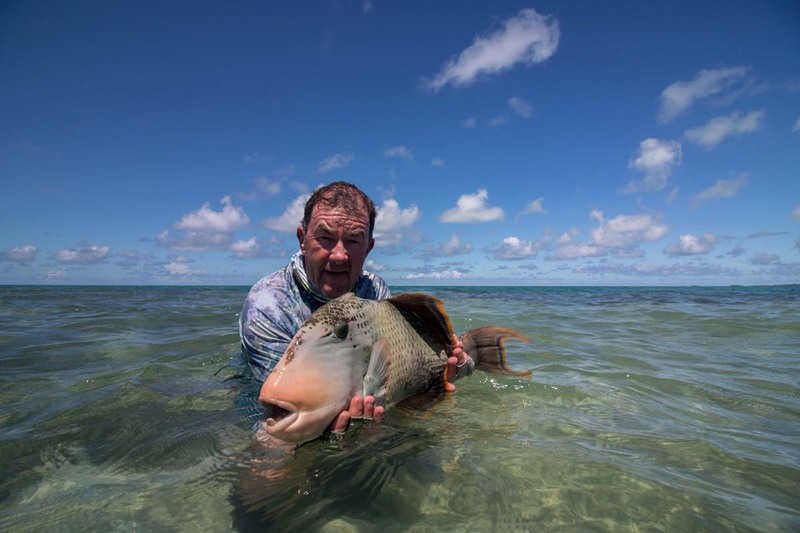 Tom Sr. took it one further by catching the biggest GT of the week at 101cm and making a ‘Flats Slam’ in the process! 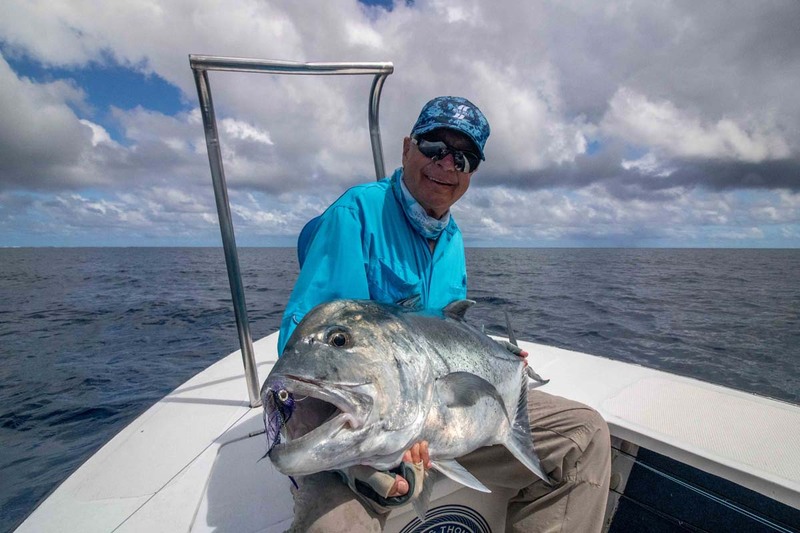 On the bluewater front, there was lots of action and great catches like Pavel’s massive 80kg Dogtooth Tuna and a couple of Sailfish for him and his wife Dominique. 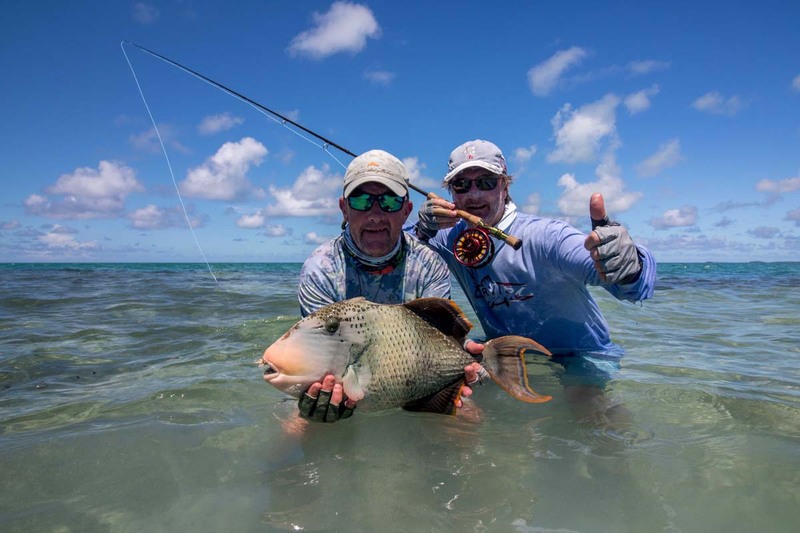 There was also a “Bills and Bones” Slam for Tom Sr.